The first three parts of this article have gone through and looked at the various aspects of a passing attack and how the Panthers have defended them with various levels of success, but for this final part we are going to break from the convention of sorting plays by type or formation and instead look at them chronologically. The reason for this is that the Panthers’ issues against the Steelers were as much about the pattern with which they called various plays versus exactly what those plays were. The Steelers were able to negate Peppers’ outside rush with a chip, and with Addison coming around on a stunt, this was never going to be a pass rush that got early pressure. 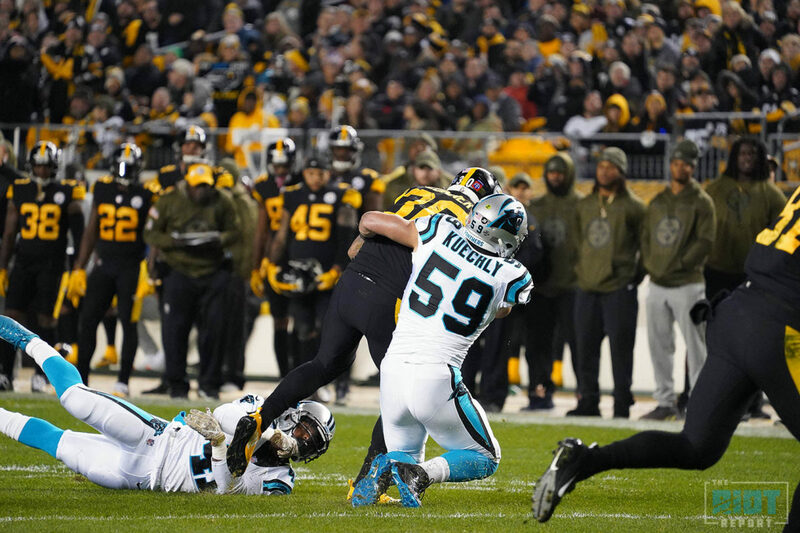 However, because the Panthers have run a lot of stunts to this point, the Steelers were also able to completely eliminate Addison from the play – the back-side guard was waiting for him. Still, this was only one play, and while the pass rush didn’t win here, the bigger issue was undoubtedly in the secondary. The Panthers have played a lot of soft zone coverage this season, and this was clearly something the Steelers had identified in their prep and for much of their second touchdown drive, they were able to generate consistent passing yardage on quick-hitting plays that took advantage of that fact that the defender was far off the line of scrimmage.  This isn’t a weakness unique to the Panthers – plays like this are always going to be dangerous against off coverage – but the Panthers have overused it to this point in the season that opposing offenses are clearly tuning in to this being a way to gain consistent yardage against them. This has nothing to do with the pass rush, as there is no way to stop these plays other than to play closer to the line of scrimmage in the secondary. The Steelers throw up a contested throw against tight man coverage and while Jackson’s stumble gifted them a touchdown, with competent coverage and a bit of luck this is not a play that is likely to lead to consistent completions. The Steelers were in a position where they could afford to take this risk, but this is a risk that more often than not will work out in favor of the Panthers. It should be clear at this point that the Panthers didn’t have a good first half, and while they weren’t helped by the early pick-six their constant use of off-coverage made it far too easy for the Steelers to keep the ball moving with quick passes that made it impossible to generate any pass rush. Still, with halftime to watch the tape and adjust to what had gone wrong in the first half at least they had a chance to calm things down in the second half.